Hello folks! Just joined and very excited! Hoping to go to my first CAS next month, but woefully unprepared. I am in need of two firearms and want to buy them within the next week, but not sure. I am into it for fun and not necessarily to become a serious competitor. I like my rifles short and light, so the Marlin 1894 or Winchester 1892 in .45 LC seems to be the answer. Now, I grew up on the Winchester as my favorite cowboy rifle, so that is taking the lead but costs $1K and there is currently no short stroke kit for it (while not looking to compete, I like the idea as a future mod). The Marlin is cheaper, and capable of a short stroke kit. Also, I may want to put powerful super Buffalo Bore level .45 colts through one day, so curious which action is stronger. Also, if you can direct me to an FFL that has the best prices for either, it could help my decision. Again, appreciate all of the advice. I did go to a CAS in El Paso Texas, and did handle a few rifles and shotties there. I own a Rossi .44 magnum, Marlin 30-30 and 45-70 (all 16.5 inchers) so I do have some experience in LGs. I have owned long rifles and short rifles, always preferring the shorter ones (with ear protection). OK, yeah, so shoot me (no don't shoot me) I swung 180 degrees the other way. So I like the 1873. Big question: Who makes the lightest, 18 inch, already modded 45 long colt? I see Winchester, Uberti, Taylor, etc. and they easily go to the $1800+ mark. 92 is stronger. Rossi made them in 454 Casull!!! Also you can run "Ruger only loads" in the 45 Colt. I like the 92, it's light, reliable and strong. Short stoke kits aren't available for it but most shooters couldn't outrun a 92 anyway, especially new shooters. I've been shooting 2 years now and just bought my second 92. The only time I have a problem with it is when I'm practicing and dry firing and then it's my screw up not the gun. OK, so the 92 is stronger, lighter, and holds high tradition with me. What is the lowest price on can get and 18-20 inch round barrel? Have you read through the Shooter Handbook with regard to the various categories available? If not, you may want to hold off your purchase until you do. Are you planning on shooting B Western? Research the Handbook a bit and talk to the shooters at a match, then jump in with both feet. OP-Would be best to find a FFL near you. Where would that be? Check the classifieds and merchant section on this forum. I like JM marked Marlin's. Marlins are the KISS of lever rifles in upkeep and cleaning. Do you reload-Really need to, to play any gun-game. I've glossed over it, and honestly don't know if B-Western or Classic Cowboy is my thing--but if it was, the 1895 or 1892 would then be a "no-go?" To go with the 1873 even opens up the Wild Bunch, correct? Buy three boxes of fifty rounds each of 38 Specials with all lead bullets and a box of twenty five, target 12 gauge shotgun shell and call ahead to the match director asking to borrow firearms and leather. It's way to soon in your CAS journey to select you first firearms. Your local club can point you to an FFL who handles transfers. SLOW DOWN and try other shooters guns before you make your first purchase. Find a local mentor and have that person help you sort out your options. 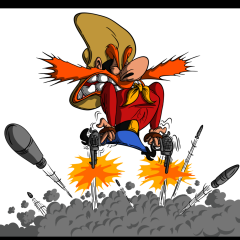 Don't buy anydangthing in gunz, till you do a hands-on live fire. Interests:Hunting ,Rondezvous, musky hunting, shootin and scooterin',Retired EMT & Firefighter Employed as welder. I have quite a few extras I wouldn't have...…. Funny how that works, ain't it? Where are you located DB? There are probably some Wire pards near you who can help. The 92 with its double locking lugs is technically stronger than a Marlin 94, but both will handle the Buffalo Bore ammo you mentioned. So don't rule out the Marlin because of strength alone. For brand new off the shelf for $1000 or less the Marlin 94 and Winchester (Miroku) 73s might just be some of the best rifles out there. The cheapest 92s out there are easily the Rossi, most can be had for around $400-500. The pre-safety versions command a slight premium. The Japanese Winchesters are very nice rifles, unfortunately, the 92s are equipped with a modern tang safety and rebounding hammer. Chiappa also makes a nice looking copy of the 92, like the Rossis the Chiappas get mixed reviews but there are a few guys I shoot with that have them and like them. There are also original Winchester 1892 and Browning B-92 but to my knowledge neither were ever produced in 45Colt. I agree with the other guys all advising the try before you buy. Be sure to ask about what modifications (if any) have been done to the guns you try. 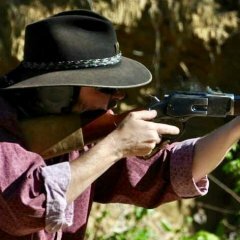 The Uberti 73 closely followed by the Uberti 66 is easily the most popular/ most recommended rifle in the game but keep in mind most of these have several hundred dollars worth of aftermarket parts and work into them. Agree try before, but I know what it is like. While 1873 is sort of the goto rifle 93 and Marlins right fine. Now this is my wild bunch rifle. Welcome and a big Minnie Pearl style HOWDEEE!! You stated in your original post that the Marlin was capable of a short stroke kit. successfully modified them into short stroke actions. Lots of good advice and info above. As others have ask..... where do you hang your hat? FWIW...I have both a Rossi 92 and Winchester 73 both blued receivers and 24" rifles. (45 Colt) Got both for great prices because of the coloring and barrel length don't seem to be in favor with most shooters that prefer case hardened and shorter barrels. Both are self smoothed and cycle great. I'm 6'2+ and don't find a longer barrel a problem when shooting stages, someone shorter might. My original Winchester 97's and 87's also 30" barrels, my SxS 22" only because when it was 28" long it weighed over 12 lbs. IMHO don't automatically discount a longer barreled gun until you pick it up. (My next rifle will be a 24.5" 1860 Henry). If that is what you want, and you are limiting yourself to the 94 Marlin or the 92 Winchester made by Miroku, I'd take the Miroku in a heartbeat because it is exactly known that you will get a great gun that won't "spoil like milk". Why? Marlin was bought by Remington in 2007, and then retooled by Rem since their employees could not make great guns with the old, very OLD, Marlin tooling, and that threw a ton of pretty crappy Remlins into the market. Unless you are careful to avoid those, and you want to assume that the current Remington production is top notch (which it may be from a couple of recent reports), you would have a big chance of buying a Marlin 94 right now that will curdle your introduction to Cowboy shooting! If you know exactly what to look for, and you stick with production made in the last 12 months, you increase your chances of getting a good gun. Or, go back to pre-2000 JM marked Marlins and get one that has historically been proven good. So, the safe bet right now, as it often is, is get a Miroku to shoot right away (or a Uberti to shoot later after a gunsmith slicks it up nice). Go to a match or two. One or two weeks of research will save you 6 months of recrimination of yourself and your eagerness. Besides, this is the slowest part of the Cowboy year. You won't be missing all that much in the way of action. Welcome to the best game there is. Go to GunBroker, search for "Johnny Meadows". Buy his Rossi 92' in .357 and go shoot til you hearts content $675 + shipping. +1 on that. If you’ve made up your mind in what you want that’s a good deal. Johnny does great work and backs it up. Part of my entry into this game is to keep it "real." Knowing me, and what I carry daily and rely upon--what would I do and carry (legit) back in the late 1800-early 1900's? OK, yeah, so shoot me (no please don't shoot me), I swung 180 degrees the other way. Big question: Who makes the lightest, 18 inch, already modded 45 long colt with 10 cartridges? I see Winchester's versions, Uberti, Taylor, etc. and they easily go to the $900--$1800+ mark. Why not run your Rossi .44? Way lighter than any '73 is. Steve's Gunz is also a great resource for the Rossi '92. He's a whiz with em! Uberti 1873 rifles are sold through distributors. They come in the length you seek in 45 Colt caliber. Reputable gunsmiths buy these from distributors and modify them for CAS competition (race ready). 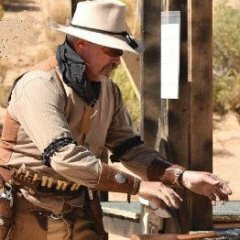 Uberti 1873 rifles are quite competitive for CAS competition. I think the round barreled rifles are lighter than the octagonal barreled rifles but recommend you check with a seller before purchasing. You can request recommendations for race-ready rifles on this Wire. My family has done well with our purchases from Cody Connager and Longhunters. Some of the earlier Rossi's, what they called the Cougar (NOT the recent Cougar) and the M65 needed a little smoothing, and cutting a turn-and-a-half off the ejector spring, plus some compression of the spring in a bench vise. But I have one of each, one in .44 Mangle-em and one in .44-40. They have 20" barrels, and those are my go-to rifles for CAS (depends on which cylinders I have in my convertible Old Model Ruger Vaqueros). The .44 Magnum can be down-loaded to SASS-legal levels using reasonable smokeless loads, and obviates the necessity of modifying the '92 to handle .44 Special cartridges, although with the right bullet you can get the Specials to feed in the unmodified magnum rifle. 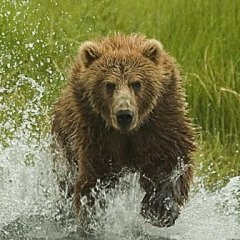 Then, if you are going after most North American game (I'd be reluctant to use .44 Magnum on Alaskan Brown Bear), full-power .44 Magnum loads will be fine... within, say 150 yds. For matching pistols, I'd try to find either some of the special-run Ruger New Vaqueros in .44 Special, or Old Model Vaqueros in .44 Magnum. Keep in mind that from a historical prospective, NO lever action rifles, not Winchesters', Marlins, etc., were chambered in .45 Long Colt. That is something since CAS came along! Back in the day, there was a lot of Army-made .45 Colt ammo, as well as commercial ammo. The original Army ammo was inside-primed, soft copper (gilding metal) cartridge cases, and the rim was barely larger than the head diameter. With black powder fouling, rifles would have had jamming problems that the manufacturers could afford to have. That is why Winchester came out with the tapered bottlenecked .44-40 for the '73! Welcome to the campfire, Pard! Best of luck with your choices of iron! A marlin 32 H&R is shorter throw. I can see the difference between that and the CBC but in truth for me does not make much difference. If I was a sub 20 sec shooter maybe. 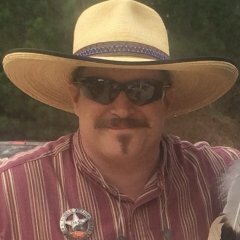 Since you are in the Southwest, one of the best and closest gunsmiths who will order and speed tune a 73 is Jared at LongHunter Supply. Just ships once - from LongHunter in Amarillo to you (or your FFL). Jared will do a primo job on your rifle. An 18" Uberti trapper with either straight grip or curved (pistol) grip stock are standard items for him. I like the Uberti short or trapper rifles rather than carbines because they use a standard front sight dovetailed into barrel, and have a more standard rear sight. Carbines have front sight as part of the front barrel band, and a non-standard rear sight arrangement. 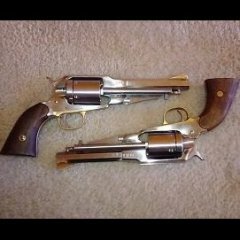 I like a Taylor imported gun a little more than a Cimarron gun, but I have both and they all are easy to make run well. just wanted to say Welcome to the Party! OK, think I am going to pull the trigger on a Taylor Comanchero 1873 with an 18.5 inch 10 round capacity for about $1450. I figure at that price, I can always sell it if I don't feel it is worth it but since it comes with slicked action, trigger, and short throw that saves me from having to find a smith. My only concern is the octagon barrel, which while aesthetically pleasing, probably adds another 1/2 pound of weight (I know this will be good weight on a never carried, competition gun but I really want to carry what I would have carried back then). Taylor's has several Half Octagon versions of the 1873 that would be lighter. I have one in 44-40 and it's almost too light. I can't speak to the dealers in your area, but mine will call Taylor's, get their dealer discount, and get me a better deal. You might call Boomstick J and see if he can order what you want and give it a quick slickup. I mentioned Boomstick because I believe he is in Texas and you can probably drive to where he is; seems like Longunter is down there too though. this is specifically why a lot of us STRONGLY recommend going to several matches. The local folks can put you in touch with dealers and/or local gunsmiths that can order stuff a little cheaper and save on shipping most of the time. Heck someone might have or know where you can get what you want ready to go. Already looking at his website and calling Taylor. Either way, I doubt I can beat the price I found at $1450, though there may be slicker guns out there for a few hundred more. Unfortunately, Texas is big. I am in West TX and a lot of these guys are out of the Dallas area, 600+ miles away.